Due to a variety of different reasons, there are many parts of the country experiencing drought conditions, especially the Western States. The USDA produces a drought monitor graphic website that is regularly updated and will show you the drought severity in your region. 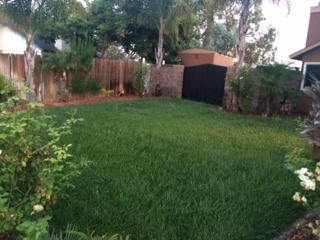 As a result of the low water levels in the reservoirs and mountains, and the lack of rainfall again this year, the City of San Diego as an example has instituted a number of very strict rules governing outdoor water use including: no car washing unless it is at a commercial facility that recycles their dirty water; and limiting outdoor garden irrigation to 5 minutes twice a week. In addition water rates from our local SD water authority, the government agency that distributes our water and bills us for our consumption, have more than doubled. Believe it or not, it is because the water rationing has been so successful at reducing water use that their sale of water is not generating enough revenue. Many people in the region have given up watering their lawns, allowing them to die and completely turn to dust. However, we have a very simple solution. 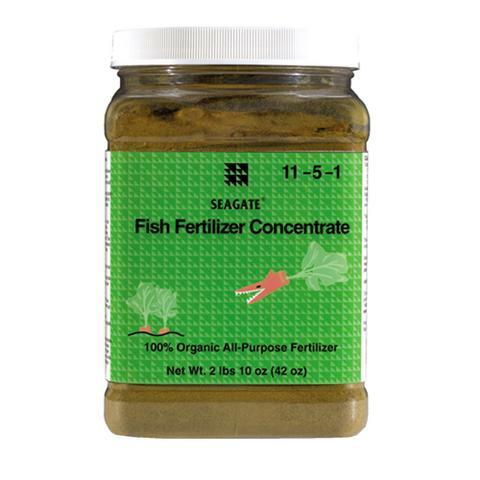 The Seagate staff who have lawns have been spreading our Fish Fertilizer Concentrate directly on top of their grass while at the same time cutting back their watering times to the 5 minutes 2x/week prescribed. The result is the lush green lawn below. This photo below is the front lawn of Eva P.’s house in San Diego yesterday, which happened to be a 100+ degree day. Eva’s neighborhood is entirely made up of browned-out lawns. Her neighbors have been wondering if she is violating the irrigation regulations. She has had to explain repeatedly that all they are doing is regularly giving the lawn a healthy dose of fish. The well-fed grass is healthier and able to survive the local drought conditions with less than one-third the normal level of irrigation. Eva keeps a couple of containers near the front steps to show those inquisitive neighbors exactly what she is doing so that they don’t call the water-police. Over 70% of our Earth is covered with water, unfortunately most of it is seawater. 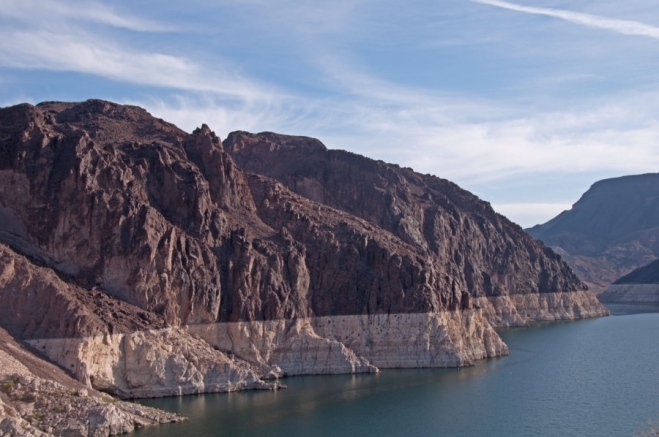 It is very expensive to convert saltwater into fresh potable water. Cities like San Diego are still not learning that drought or no drought, this is a desert region that was not meant to support this fast-growing population, though there seems to be no end to new housing construction. Much less crowded and filled with water and tropical fish is one of my favorite reefs off Belize. The photo below was taken at approx. 50 foot depth. The water is so clear, you can see the underside of the waves breaking at the surface. If you look closely around the central coral mound, you will see a variety of different fish blending in with the reef.